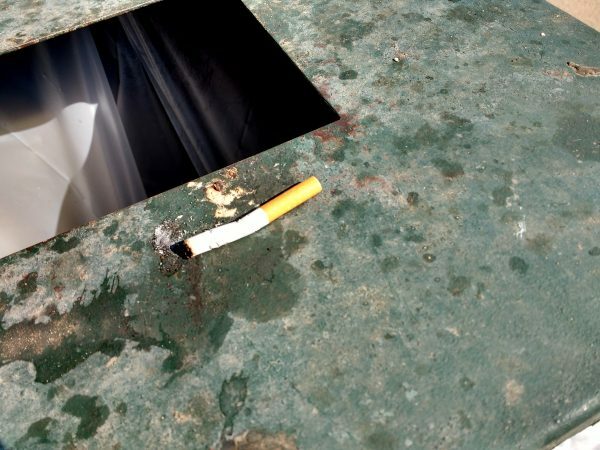 Free high resolution photo of a cigarette sitting on the edge of a garbage can. This trash can was found at a public park, and there was a cigarette laying on the lid right next to the opening. This cigarette had been smoked a little bit so perhaps someone left it there for the next person to use? Who knows. Free photo for any use.